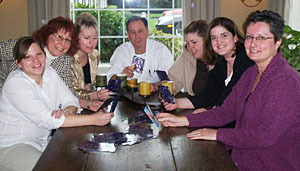 I first encountered the SoulCards at a meeting that was sponsored by St. Charles Medical Center in Bend Oregon. One of the speakers was Lee Kaiser. (http://www.kaiser.net/) He introduced the SoulCards to us by passing a basket around and asking each of us to draw a card. He talked about how to work with them and then allowed time for each of us to talk with him about what the card we had chosen may represent for us. The card that I drew was very meaningful for me. I have kept it close and cherished it for four years now, using it as a visualization tool for focus and renewal. I have found it to be a reminder of calm and the ability to respond to what may be occurring around me. This card has given me a foundation and a touchstone for my Reiki practice, my work with Alzheimers and the 83 team members that I am responsible for. When I first returned from the retreat where I was introduced to SoulCards, I was anxious to find a way to utilize them with our management team. Needless to say the team members were very intrigued and we began using them right away in our weekly meetings.We have experimented with ways of using them. In the beginning I drew a card for each team member and they would talk about what their initial reactions were to the card and what it might represent for them. Then each team member could add something to that if they experienced any thoughts that may help the person who chose the card. Since that first time we have changed the variations such as each person drawing their own card. If they drew two accidentally (seemingly) they had to keep both cards and work with them. The next thing we tried was for people to draw a card and not share but to just take the image in and work with it in silence. We experimented, and still do, choosing cards with our less dominant hand vs. our dominant and experience any shifts that may occur. The card that we choose is with us until our next meeting. During that time we journal, meditate and discuss any additional insights that we each may have gleaned over that week of process. We have been amazed at the cards that we choose and how closely the image mirrors our feelings and our struggles at the current time. More importantly, the card creates a voice for our feelings and emotions. 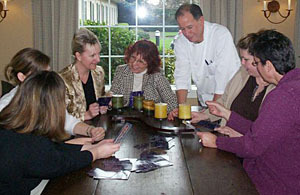 Having the cards as a medium has been a wonderful, healing way to bring our team closer together. We are more accepting, forgiving, supporting, loving and kind to one another because of what we have been able to share through this practice. We all feel that the cards have facilitated our inward journey and that we are stronger and clearer because of their help. Most would say that working in an Alzheimer’s community would be a very stressful, depleting position to be in especially over time. But I have to say that our team is doing beautifully. 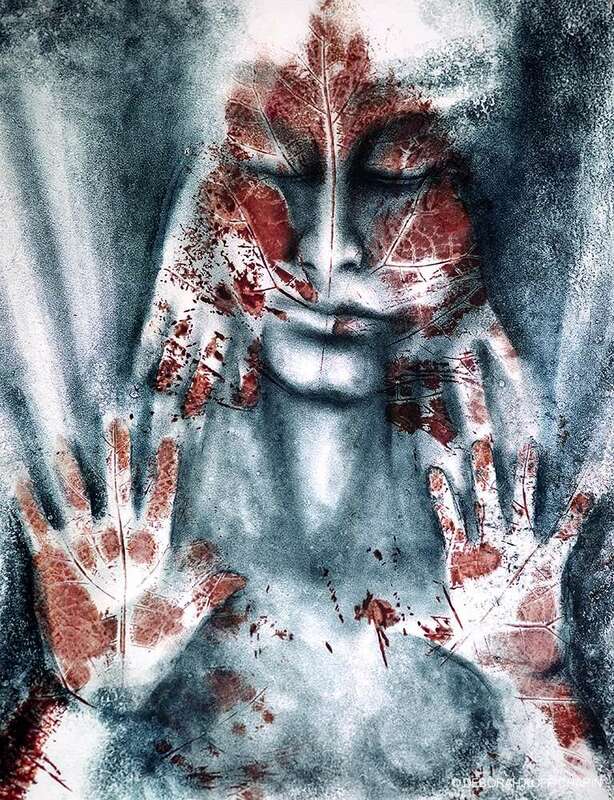 I give credit in part to the SoulCards for helping to facilitate the process of conversing about our inner journey and the process of being and becoming.